if you’ve been following along, you’ll know that last year i posted about a bit of research by an anthropologist(?) 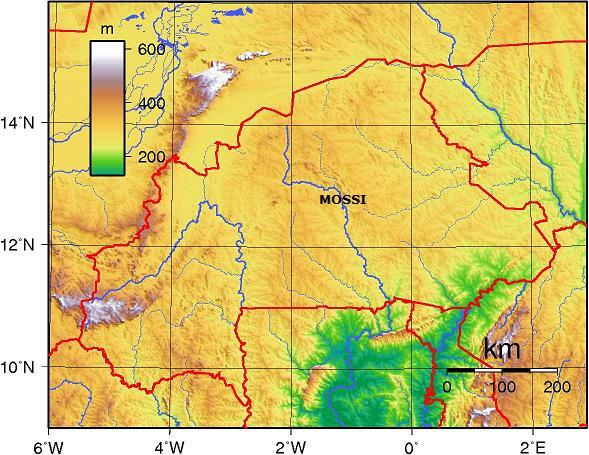 by the name of joseph westermeyer the results of which suggested that peoples in lowland areas below 500m above sea level have a tendency to outbreed (i.e. 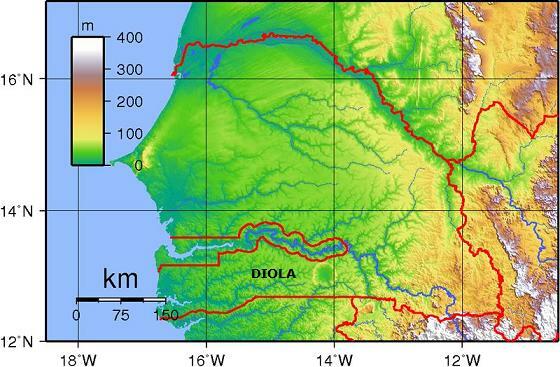 avoid cousin marriage) while uplanders above 500m above sea level (and, perhaps, peoples in other marginal areas) have a tendency to inbreed (i.e. favor cousin marriage). (see also here.) westermeyer only looked at southeast asia, but i, too, seemed to be finding that pattern repeating in many places: balkans peoples – largely inbreeders, especially the ones way up in the hills; populations in the caucasuses – inbreeders; the auvergnats in france – inbreeders; heeland scots – inbreeders until quite late; afghanis – generally inbreeders, but more so in the mountains than in lowland areas; etc. on friday, i posted about the wrist-knife wearing, ak-47 some sort-of big gun carrying turkana of east africa (kenya) who also appeared to confirm the pattern: they are a bunch of outbreeders (they avoid anything closer than second cousin marriage) and they live in a lowland region. and they’re pastoralists to boot — teh anthropologists keep saying that pastoralism leads to close marriages (like with the arabs). not! 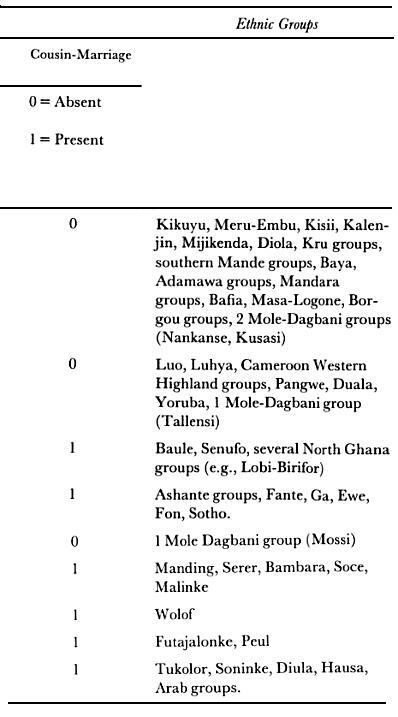 in the second chapter, “The Components of Sub-Saharan Reproductive Regimes and Their Social and Cultural Determinants: The Empirical Evidence,” there’s a table on pages 74 and 75 indicating the presence or absence of cousin marriage for 47+ sub-saharan populations (data from murdock’s Ethnographic Atlas), and, as far as i can tell, there’s no rhyme or reason for why some groups inbreed and others don’t. at least the pattern (if there is one!) doesn’t appear to be connected to living in upland or lowland areas. see? that’s eleven upland groups right there which are — if the data are correct — outbreeders not inbreeders. 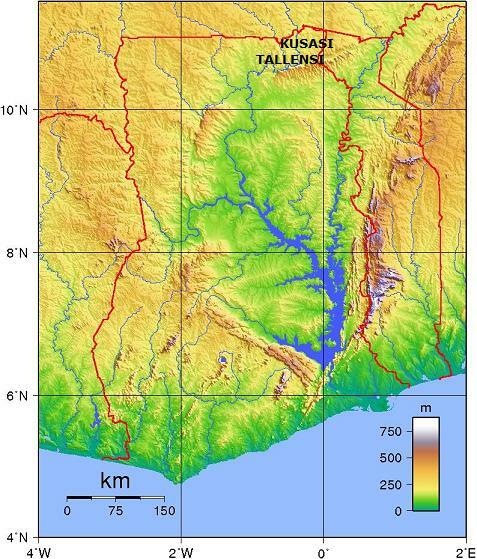 either the flatlanders vs. mountaineers theory is wrong, or the sub-saharan africans are some sort of exception to this rule. again, most of the groups practice polygamy which does complicate the picture wrt genetic relatedness. i’ll work the inbreeders into the maps one day soon. promise! biology 101, biology matters, consanguinity, cousin marriage, different peoples is different (duh! 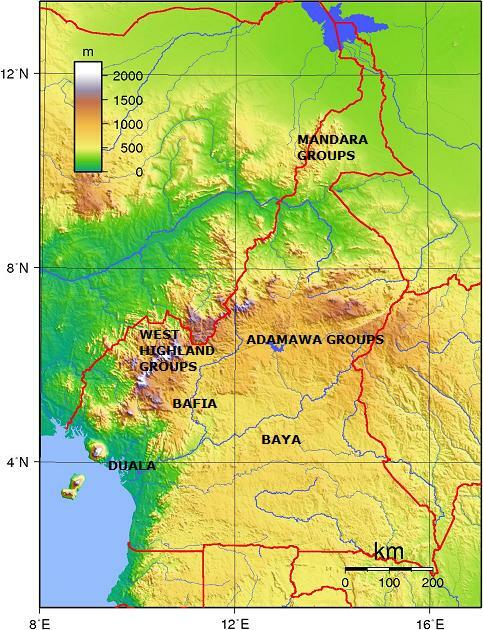 ), inbreeding, kissin' cousins, mating patterns matter, monogamy, murdock ethnographic atlas, polygamy, relatedness matters, what's this hbd business all about anyway? sean suggests that there is a correlation between consanguintiy and polygamy (or, rather, polygamy and consanguinity). i don’t know if anyone’s ever looked for a correlation between the two. if they have, i haven’t seen it. what someone should do is take the populations from consang.net (not the nations but the populations) and see if there is any correlation between consanguinity and polygamy or not. i’ve put that task on my “to do” list, but i can’t promise that i’ll get to it any time soon. 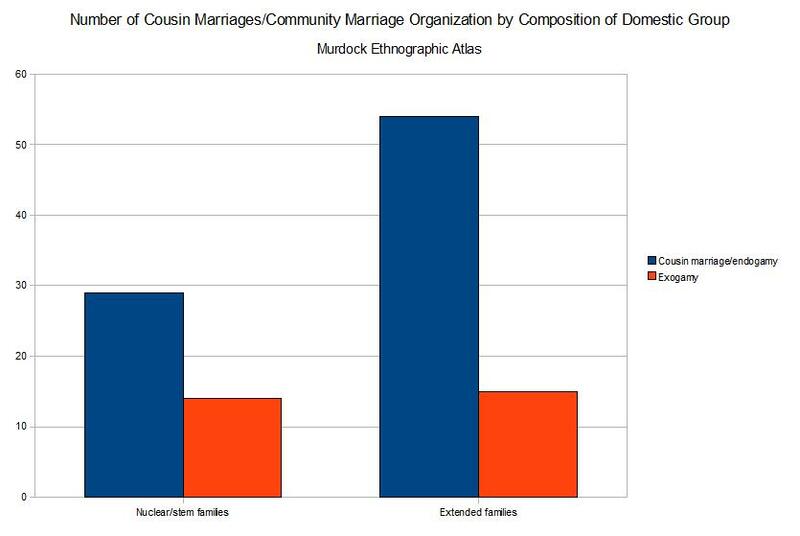 what i have done is check murdock‘s ethnographic atlas to see what sorts of societies (monogamous, occasionally polygamous, or polygamous) are also consanguineous (here consanguineous means first or second cousin marriage — i haven’t included uncle-niece marriages as that info is not available in the murdock atlas). i skipped the two “Missing Data” groups (fourteen results). i also skipped the “No 1st – 2nd uknown” group (twenty-seven results) since the presence or absence of second-cousin marriage was unknown. left out the polyandrous groups (all three of them), too. and i also drilled down (manually!) in the extended family categories (minimal/stem, small extended, and large extended) to check for consanguinity and polygamy there ’cause i couldn’t figure out how work that into the table (you’re welcome). i then combined all the monogamous, occasionally polygamous, and polygamous groups together (n=142 in total). well, for one thing, there’s a lot more polygamy and occasional polygamy out there in the world than monogamy, but then we all knew that already, didn’t we? there’s also more consanguineous marriage practices out there than not — or, at least, they’re allowed in more societies than not — but we’re all starting to know that now, too, aren’t we? (^_^) even in monogamous societies, there are twice as many that allow some form of cousin marriage (first or second) than those that don’t allow any. 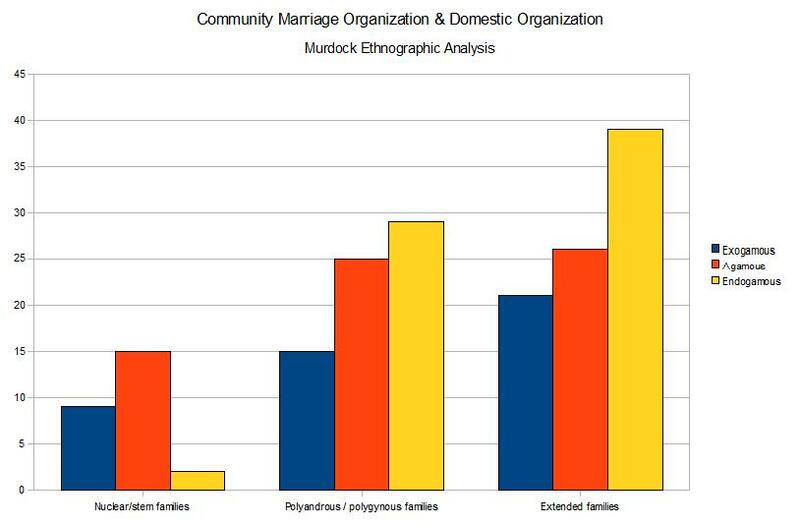 the rate of consanguineous to non-consanguineous marriage allowed in monogamous societies is about 2:1. in polygamous and occasionally polygamous societies it’s about 2.5:1. so, yeah — there are more consanguineous marriages permitted in polygamous societies than monogamous ones, but is the correlation between the two (consanguinity and polygamy) very strong? i dunno. doesn’t really seem like it, but you tell me. in Ya̧nomamö, chagnon suggests that groups that practice polygamy marry their cousins with greater frequency partly because the individuals in those societies have more cousins. he gives as example two ya̧nomamö extended families, one that had a founder with more wives than the other. because he founded so many lineages, as it were, the descendants of the guy with more wives were able to more easily find a cousin to marry simply because more persons who were their cousins existed. don’t know if this holds true for other polygamous groups, but it’s an interesting idea. biology 101, biology and behavior, biology and culture, biology matters, clannishness, different peoples is different (duh! 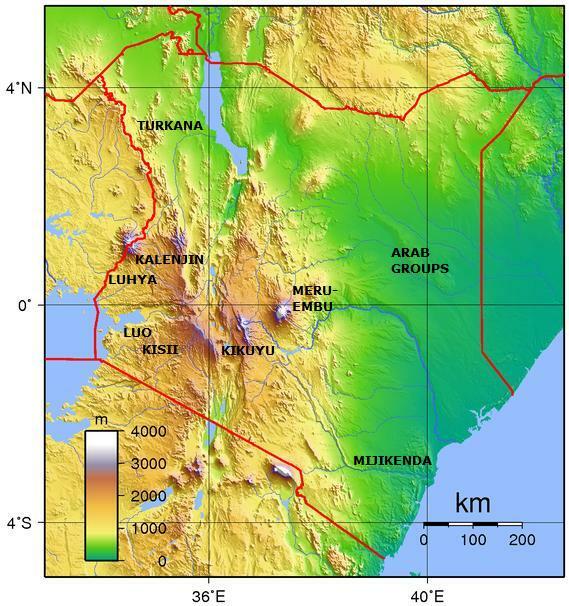 ), inbreeding, inclusive fitness, k.i.s.s., kissin' cousins, mating patterns matter, murdock ethnographic atlas, nuclear families, relatedness matters, sifaka alert!, societal structures, stem families, tribalism, what's this hbd business all about anyway? in the interests of k.i.s.s. k.i.s.s., i decided to look again at mating patterns and family types in the murdock ethnographic atlas, but this time looking just at exogamous, agamous and endogamous mating practices without all the cousin-marriage business. again, nuclear and stem families just do not go together with endogamous mating patterns. you need exogamous or agamous (not caring one way or the other) mating patterns to get nuclear or stem families. there is clearly a relationship between endogamy and extended families. also, there seems to be more endogamy in the world than exogamy. and quite a lot of peoples who don’t seem to be able to make up their minds on the issue. 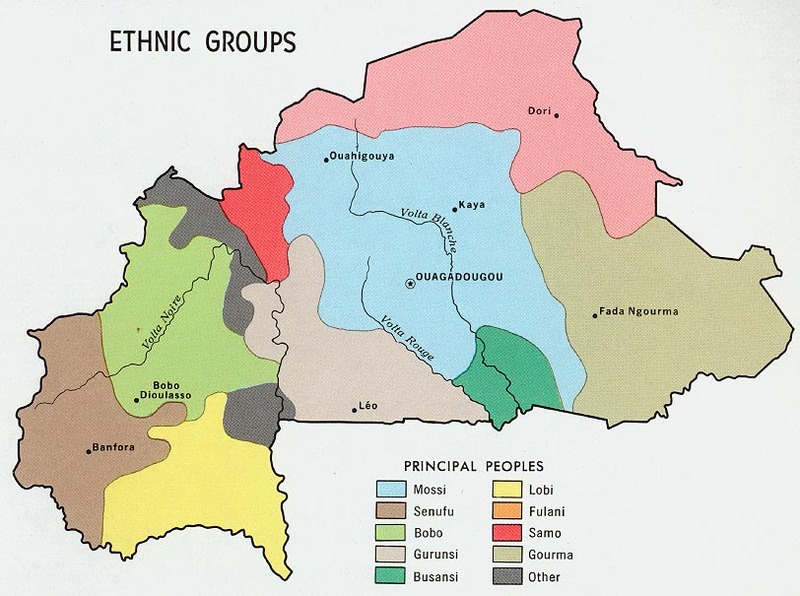 – the konso people of ethiopia (endogamous marriage patterns with stem families, occasionally polygyny). 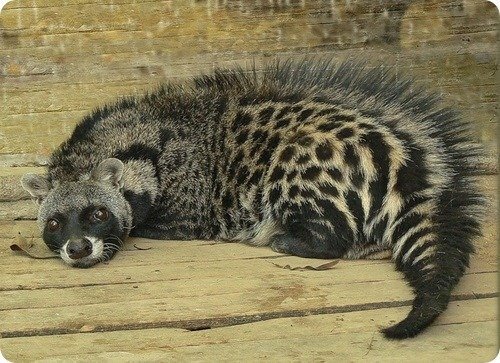 biology 101, biology and behavior, biology matters, civet alert!, clannishness, different peoples is different (duh! ), extended families, inbreeding, inclusive fitness, kissin' cousins, mating patterns matter, murdock ethnographic atlas, nuclear families, relatedness matters, societal structures, stem families, tribalism, what's this hbd business all about anyway? i keep saying that consanguineous/endogamous mating patterns lead to clannishness/tribalism, but do they really? i think the evidence strongly suggests yes (see the mating patterns series in the left-hand column below ↓), but it would be nice to quantify it. but how? consang.net‘s data on modern cousin marriage rates would be easy and convenient to use, but where are the data on whether those societies are individualistic, clannish or tribal or whatever? i’m not aware of anything like that (if anyone is, please let me know!). i could, perhaps, sit down and, based on what i know, rate all these nations as clannish, etc., but 1) i might be wrong in some or a lot of the cases, and 2) i’d be worried about introducing my own biases. so that’s no good. what i looked for: which types and what frequencies of different basic family types (domestic organization) are found in societies with various mating patterns (number of cousin marriage [preferential] and community marriage organization). i got results for 186 different societies. i collapsed these categories into: nuclear/stem families, polygynous/polyandrous families and extended families. i figured stem families are practically nuclear families, just with grandma and/or grandpa included. i left the polygynous/polyandrous societies (there were 30 of them) out of the final analysis ’cause i just don’t know what they are. nuclear families? extended families? i dunno. the first four categories are all versions cousin marriage, so i collapsed those together. for each of the societies that came back as “no preferential or prescriptive unions” (a total of 123), i drilled down into the “community marriage organization” category to see if i could work out if their marriage patterns were generally endogamous or exogamous. i collapsed these categories into either endogamous or exogamous, and then i combined the endogamous societies with the cousin marrying societies from above. i left the agamous communities (there were 66 of them) out of the final analysis ’cause who knows if they’re marrying in or out. of the exogamous societies, just about half have nuclear/stem families and the other half have some sort of extended families. of the consanguineous/endogamous societies, those having extended families number nearly double those with nuclear or stem families. and the ratios of consanguineous/endogamous marriage patterns to exogamous marriage patterns are very different in each of the family-type divisions: endogamous to exogamous in nuclear family societies is about 2:1 while the ratio is more like 3.5:1 in extended family societies. this isn’t a perfect analysis. a lot of the data in the murdock atlas is quite old, but it is still used frequently. and likely i screwed up along the way somewhere. but i think this is another indicator that, at the very least, there is a connection between in-marrying and clannishness.